The detailed investigation of Russia’s effort to influence the U. S. election published December 13th by the New York Times provides evidence that independently supports an earlier investigation by Yahoo News in September that alleged a meeting occurred over the summer between a Trump foreign policy advisor and top Russian officials. The two investigations together provide compelling evidence the Trump campaign was aware of the Russian effort to influence the election. 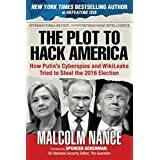 Michael Isikoff, the Chief Investigative Correspondent for Yahoo News, reported on September 23rd that a “western intelligence source” said that Carter Page, one of Trump’s national security advisors, met over the summer with two top Putin aides: Igor Ivanovich Sechin and Igor Diveykin. The “western intelligence source” said in the meeting between Sechin and Page, Sechin “raised the issue of the lifting of sanctions.” Sechin is known as Putin’s shadow. He is the Executive Chairman of Rosneft, an integrated oil company owned by the Russian government. The issues raised by the article are extremely serious. Did Page tell Sechin Trump would lift the sanctions? Did Diveykin tell Page we have some information that can help your campaign? Isikoff writes that according to this “western intelligence resource,” U. S. intelligence officials have received reports that Page’s trip to Moscow in early July was for three days and during this trip he met with Sechin and Diveykin. While Page was in Moscow, he gave a speech at the New Economic School on the 7th and at its graduation on the 8th. Page could have met with Sechin and Diveykin on either of these days. But if Page wanted to have these important meetings with Sechin and Diveykin on a separate day, the most probably candidate is July 6th. Any seasoned traveler knows if you are flying into town to give a couple speeches in two successive days, it would be best to get into town one day early. That way if there are any problems with the flight, you will not miss your first speech. Isikoff published his article September 23. On December 13th The New York Times published its extensive investigation of the Russian effort to influence the election. It is based on research done by a team of reporters: Eric Lipton, David Sanger, and Scott Shane. One of the strengths of the Times article is that it provides a timeline of the leaks of the information stolen by Russian hackers. The first release of this information was by an individual that went by the name Guccifer, who was later found to be working with the Russians. Before the Republican National Convention, Guccifer released the Democratic National Committee battle plan and budget for dealing with the Republican Convention. For Republican operatives, this was extremely valuable information. The New York Times article states Guccifer released this information on July 6th. 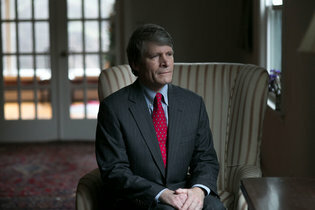 The first release of the information hacked by the Russians came on the same day Carter Page is likely to have met with Sechin and Diveykin according to Isikoff’s “western intelligence source.” This provides independent evidence that supports the allegations made by the “western intelligence source.” The information hacked by the Russians begins to be leaked only after Page gets to Moscow. The timing of the release of the second batch of emails also provides evidence the Russians were trying to help the Trump campaign. It therefore provides more evidence the Russians were helping Trump because Page had confirmed Trump would lift the sanctions. Three days before the start of the Democratic National Convention in Philadelphia, WikiLeaks dumped out 44,053 D.N.C. emails with 17,761 attachments. Some of the messages made clear that some D.N.C. officials favored Mrs. Clinton over her progressive challenger, Mr. Sanders. Congresswoman Debbie Wasserman Shultz resigns as chairwoman of the Democratic National Committee. -The Democratic Convention. It begins with Sanders supporters protesting. Donald Trump asked the Russians to hack into Clinton’s emails in a public news conference (1). Reuters reports that sources tell them the computer system of the Democratic Congressional Committee was hacked and the FBI has begun to investigate. This correlation between the date of Guccifer’s release of the first batch of stolen information and Carter Page’s visit to Moscow was not discussed in the New York Times investigation. Isikoff obviously did not have access to this information when he published his article. I found this correlation when I was adding information to the Timeline on this website. When I went to place Page’s speeches in Moscow on the Timeline, I saw they corresponded to Guccifer’s first release of stolen information. The Timeline brings together the current research from reporters all around the world. Consequently, it can help us see unique correlations in the data. We now have an additional piece of evidence that provides independent support for the conclusion Page met with Sechin and Diveykin over the summer. During these meetings, lifting the sanctions was discussed. After these meetings, the information stolen by Russian hackers was then leaked to the public in a manner that provided strategic support for the Trump campaign.